Warning: Crossing the street can be hazardous to your health. Or your life. Every year, there are approximately 6,000 pedestrian deaths across the United States. Unfortunately, experts do not expect these grim statistics for the number of pedestrian deaths to improve. Motorists struck and killed nearly 50,000 pedestrians nationwide between 2008 and 2017. This is more than 13 pedestrian deaths each day. To illustrate this gruesome statistic, imagine a jumbo jet filled with passengers crashing every single month. Furthermore, the pedestrian death toll has increased by 35% in the past decade. Of the total number of people who die in motor vehicle crashes each year, 16% are pedestrians. Pedestrian accident statistics for Michigan are even more disturbing. In 2017, 158 pedestrians were killed on Michigan roads, while 1,945 pedestrians were seriously injured. The statistics for metropolitan Detroit are particularly troubling. A new report, “Dangerous by Design 2019,” by advocacy group Smart Growth America, paints a bleak picture. The Detroit/Warren/Dearborn area is ranked as the 18th most dangerous metropolitan region in the country for pedestrians. And, Michigan officials expect the number of pedestrian deaths and serious injuries will continue to increase. More than twice as many male pedestrians (111) were killed as female pedestrians (47). The largest number of pedestrians (55) died as the result of crossing the street at a place other than an intersection. Also, the number of older adults, people of color and people walking in low-income communities killed by motorists was disproportionate. Additionally, a Free Press/USA Today investigation found Detroit had the highest pedestrian death rate among cities of more than 200,000 people. Notably, hit-and-run drivers were responsible for 46% of pedestrian deaths in Detroit from 2009-2016. This number is more than double the nationwide percentage (18%) of hit-and-run pedestrian deaths. Why the Upsurge in Pedestrian Deaths? More motorists are driving cars determined dangerous for pedestrians by the National Highway Traffic Safety Administration (NHTSA). A pedestrian is 2-3 times more likely to die if hit by an SUV compared to smaller vehicles. The same holds true for pickup trucks. Escalating sales of these larger vehicles, especially SUVs, means greater danger for pedestrians. A larger, heavier vehicle will strike a pedestrian with more force than a smaller, lighter car. Also, the higher SUV profile makes it more likely a pedestrian will be hit at chest level or higher. This, of course, increases the probability of serious injury or death. Distracted driving is becoming a leading cause of motor vehicle accidents. Today, it is not unusual to observe drivers who are more focused on their phones than on the road. Unfortunately, many pedestrians are also guilty of similar distracted behaviors. We have all seen people walking down the street with their heads down, eyes glued to their cell phones. Some pedestrians also wear headphones to listen to music or carry on phone conversations. The hazards of driving or walking while distracted are well-known. 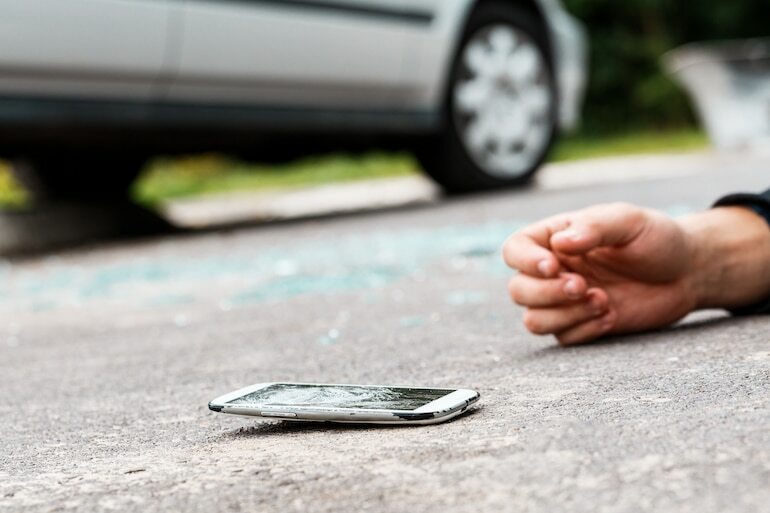 When both drivers and pedestrians are distracted, the odds of a deadly accident are that much greater.